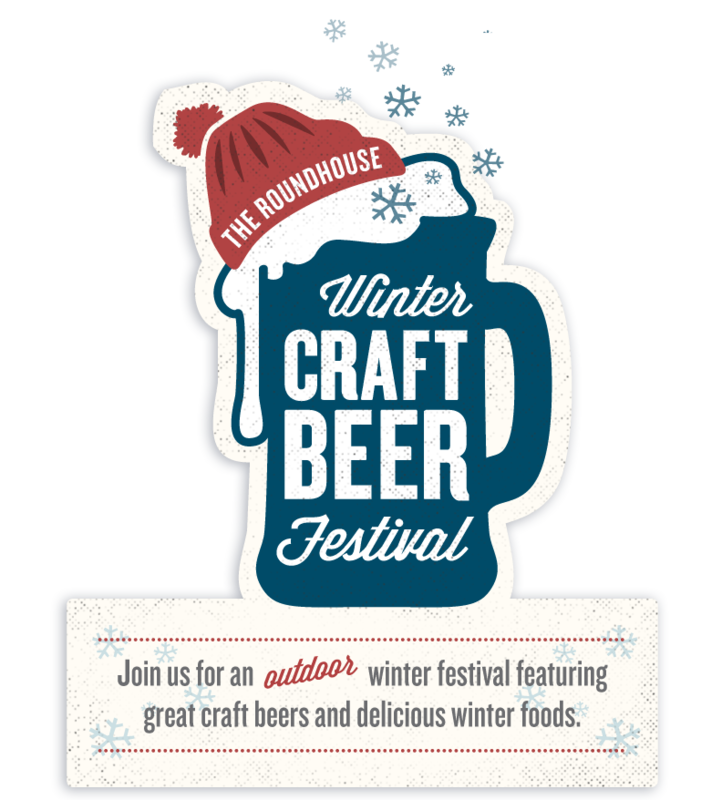 Steam Whistle Brewing held their fourth annual Roundhouse Winter Craft Beer Festival next to their brewery today ... and Gord and I were there. Though we missed last year's, we've been to the others and had a fun time! It was held outside. The sky was grey, the temperature was 1C (-3C with the windchill) when we got there. Advanced tickets were $25 and included your mug. Drink tokens were $1 each ... a half mug was one token and a full mug was two tokens. The gates opened at 11am and the first people through the gates received a Roundhouse Winter Fest toque. We got there earlier enough to get a toque ... yay! There was a fella doing an ice sculpture. There was a DJ playing tunes all afternoon. There were people dancing towards the end. You could get your picture taken on snowmobiles, which was popular. In addition to lots of food trucks, there were 40 Ontario Craft Brewers and craft cider producers. Plus they were offering a taste of the west with a showcase of breweries from Alberta Small Brewers Association (beers that aren't available in Ontario). There was a great selection in all to choose from. Dirty Blonde from Old Flame Brewery Co.
We ran into some friends. There was a fun vibe. When the sun came out, it got warmer and the snow melted and it got mucky. It's always a fun time! I can't wait 'til next year's! Looks like a fun way to spend the day.